We have started a second business - PrettyGoodJewelry.com! To use it, download the file, unzip it, and follow the instructions in the goodsol_french_readme.txt to place the French help file in the same folder as the game and rename it so that the game will find it (keeping a copy of the original English help file). We have been busy lately working on a number of projects. First, over the next few weeks we will be converting all of our web sites over to a new design. This needed redesign will really make our web sites look a lot better. 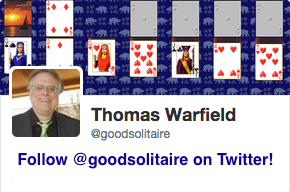 Second, there will be a new version of Pretty Good Solitaire this summer. We are also working on a complete rewrite of Pretty Good Solitaire that will allow us to add many new features that are currently impossible. 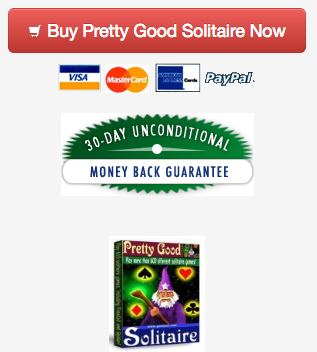 The first step of this rewrite was our new product Most Popular Solitaire. The next step will be coming soon where we will have a whole new framework on which to build games. There's already messages on our forum at http://www.goodsol.net/forum/messages/10/2036.html where people are putting in their requests for new features for the new solitaire engine. It will still be awhile before the new engine is ready and there will continue to be new versions of Pretty Good Solitaire using the old system, but a whole new system will be coming in the future. This game is at Mrs. Mop.